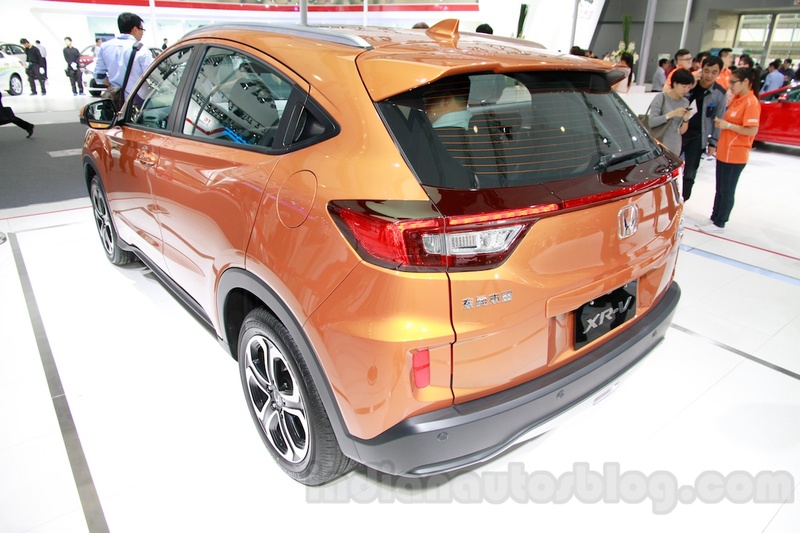 A cheaper version of the Honda Vezel. 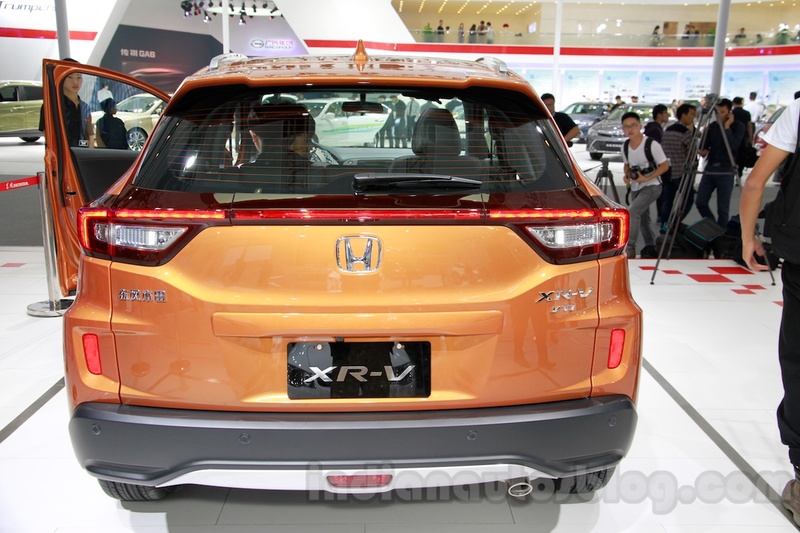 At the 2014 Guangzhou Motor Show, Honda has showcased the production ready version of its new compact SUV, the XR-V. Unveiled at the Chengdu Motor Show in pre-production form, the XR-V is a China-only product that is based on the Vezel. With prices starting from 127,800 yuan (equivalent of Rs 12.9 lakhs) onwards, it will be available in two engine petrol options. In terms of dimensions, the XR-V is a bit shorter than the Vezel, measuring at 4,270mm in length, 1,772mm in width, and 1,605mm in height. On the outside, it gets a slightly different, more rugged-looking fascia and a redesigned rear with LED lamps running across the width of a newly designed tailgate. The interior is a bit more conventional in comparison to the Vezel as well, with the absence of a floating centre tunnel and leather upholstery. 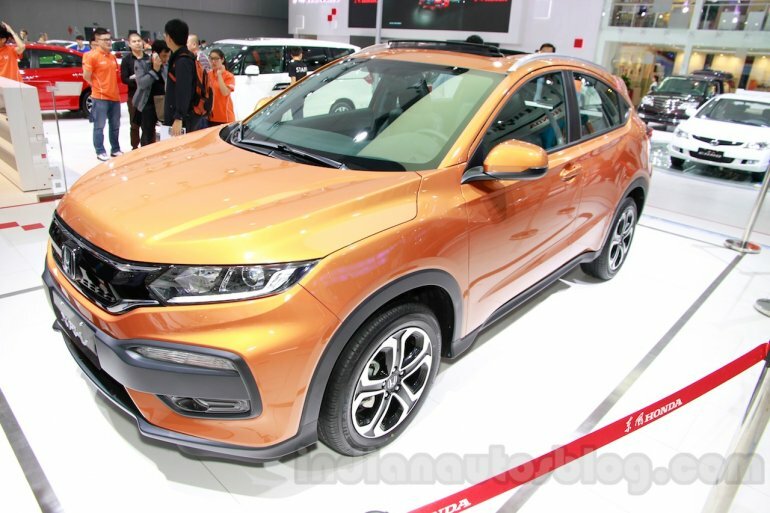 The XR-V, manufactured by the Dongfeng Honda joint venture, gets feature rich in its top-spec variant, with things like keyless entry and a sunroof being offered. The vehicle comes with two engine options, both of which are petrol-powered: a 1.5-litre and a 1.8-litre. It also boasts an engine stop/start system and a vehicle stability assist system.